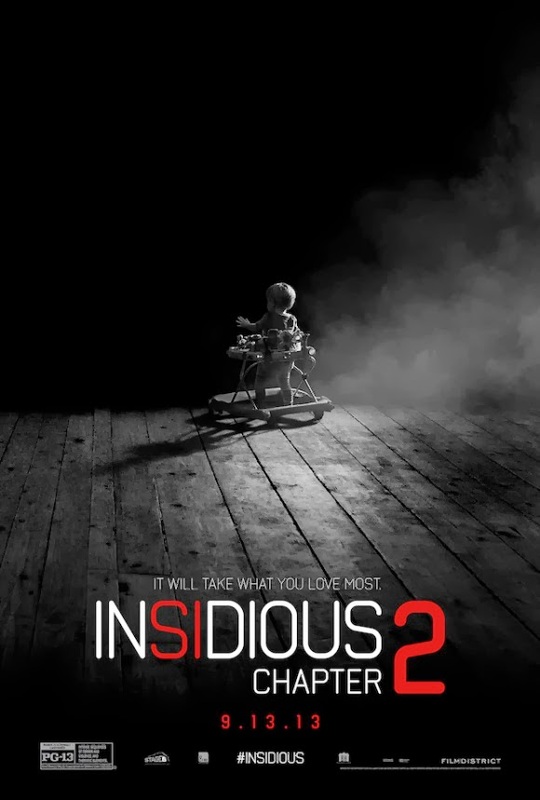 The first Insidious blew me away where James Wan was able to be fresh and old school at the same time. With focus more on atmosphere, building up tension and genuinely putting the fright in you he could do no wrong. And then three years later Insidious: Chapter 2 is made. Where you would expect bigger, better and bolder Insidious Chapter 2 suffers what all sequels are plagued with: laziness and lack in creativity. James Wan, I need to address to you personally. Because if there is one film maker I did not expect it from, it was you. What happened? Not only did you forget the first and foremost important rule of horror, which is to scare people. You also forgot to build up tension. Some scenes were strong but everything was so predictable. One of the strengths of the original was how effectively the scares were used. They happened at times you did not expect them to happen. Even the hugest horror fans were caught off guard. In this Chapter Two you weren't even trying. There were two or three scenes that almost made me think we were dealing with a Scary Movie parody. Bad CGI, bad makeup and completely forgetting the simple concept that less is more. Somehow you managed to do the exact opposite. Mind you I liked the back story. But in my opinion so much more could have been done with it. When Chapter 2 ended I was like, is this it? Now before you think well it wasn't that bad was it? No, I don't think this was bad. I did enjoy it a lot. But compared to the original this part is heavily flawed and lacking the essiantal elements that made me love it in the first place. Then there is the minor complaint of not really adding something new to the mix like I know James Wan can do as he did in all of his previous movies. To me it seemed his heart was not in it and that is never good. Real shame nevertheless you will have a great time watching this. Only don't expect this to be as scary as the original.